Many modern parallel computing systems are heterogeneous at their node level. Such nodes may comprise general purpose CPUs and accelerators (such as, GPU, or Intel Xeon Phi) that provide high performance with suitable energy-consumption characteristics. However, exploiting the available performance of heterogeneous architectures may be challenging. 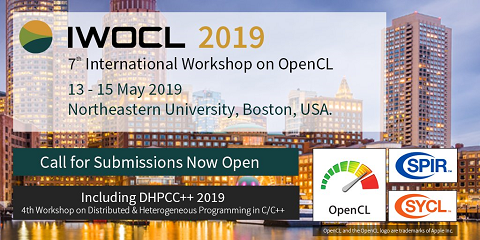 There are various parallel programming frameworks (such as, OpenMP, OpenCL, OpenACC, CUDA) and selecting the one that is suitable for a target context is not straightforward. In this paper, we study empirically the characteristics of OpenMP, OpenACC, OpenCL, and CUDA with respect to programming productivity, performance, and energy. To evaluate the programming productivity we use our homegrown tool CodeStat, which enables us to determine the percentage of code lines that was required to parallelize the code using a specific framework. We use our tool x-MeterPU to evaluate the energy consumption and the performance. Experiments are conducted using the industry-standard SPEC benchmark suite and the Rodinia benchmark suite for accelerated computing on heterogeneous systems that combine Intel Xeon E5 Processors with a GPU accelerator or an Intel Xeon Phi co-processor.